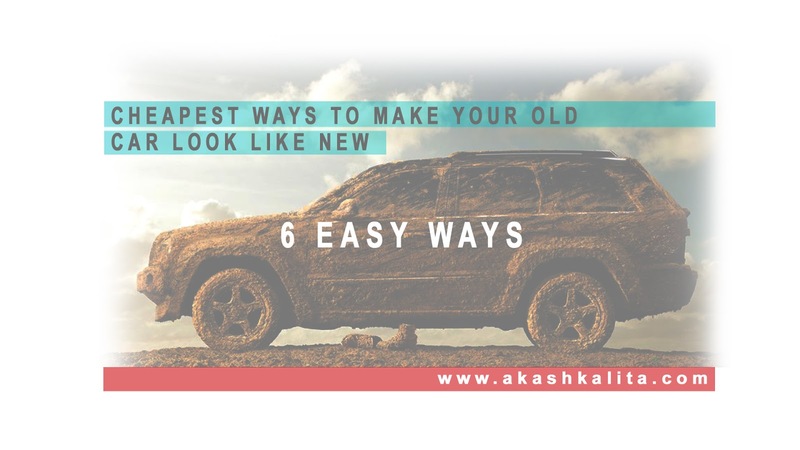 Cheapest ways to make your old car look like new. 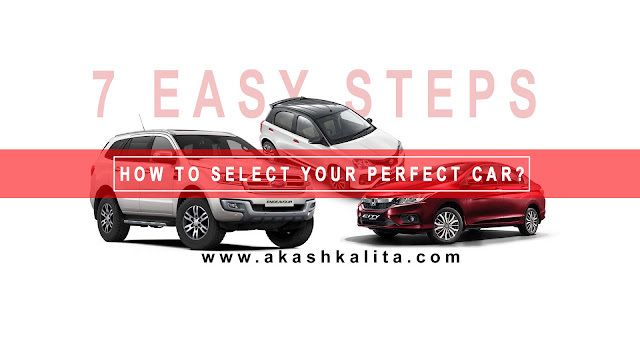 How to select your perfect car? 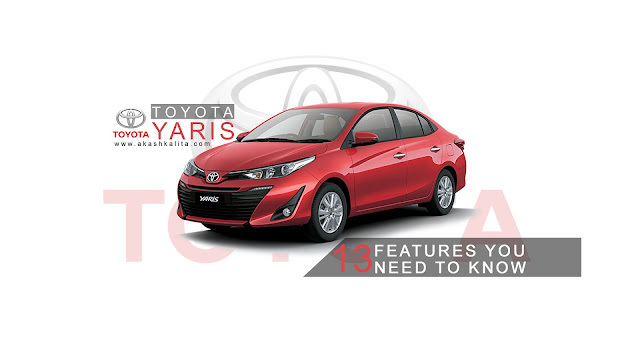 13 Features of Toyota Yaris that you did not know. 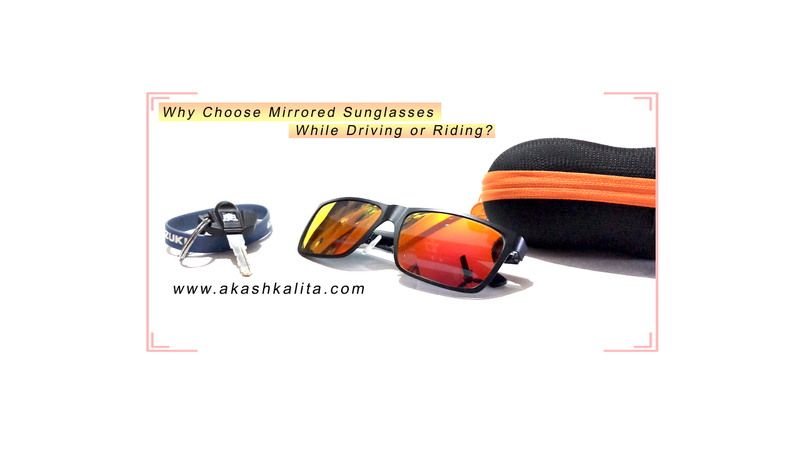 Why choose Mirrored Sunglasses while Driving or Riding? 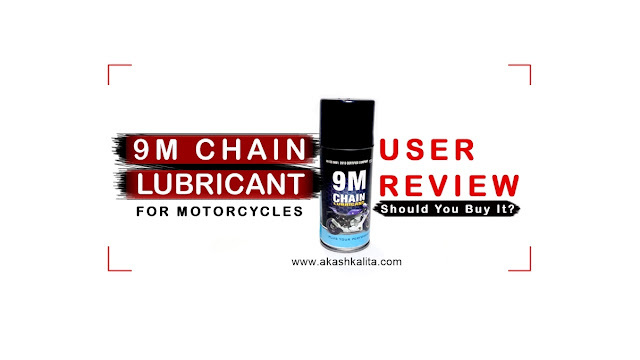 9M Chain Lubricant: Should You Buy It? 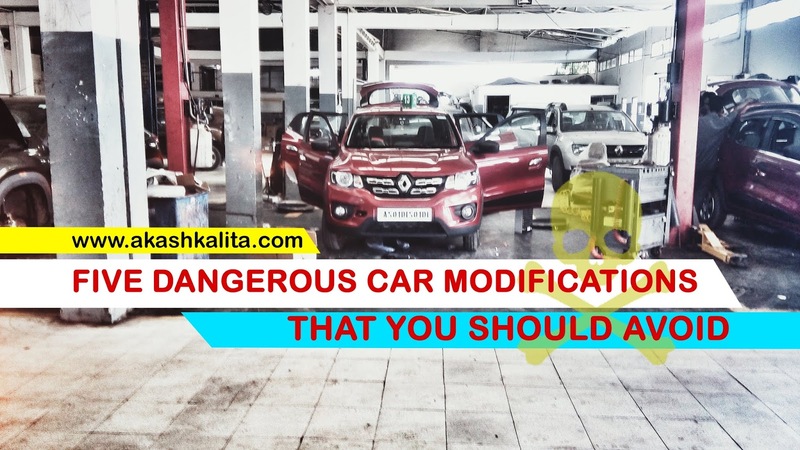 5 Dangerous Car Modifications that you should avoid. 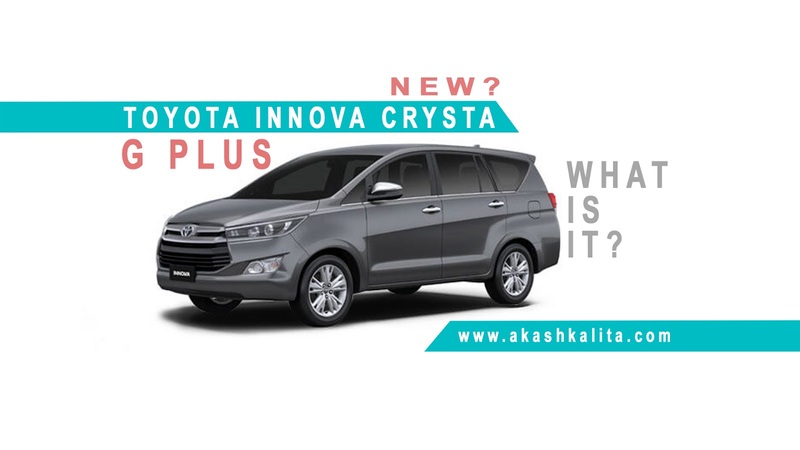 Who does not want to modify their vehicles? Having a customized vehicle in the garage is pride that every motor enthusiast likes to have. Custom vehicles stand out of the crowd and unlike stock cars, custom vehicles can be real head turners. But not all customization is safe. Some of the vehicle modifications can really get you or someone else killed on the road. So here are 5 such vehicle modifications that you should totally avoid. We the motorcycle lovers love our motorcycles and love to flaunt them irrespective of their displacement and type. But these machines that we love so much are made for going to places. Places that get them dirty. Dust, grease, oil, dead insects, and bird droppings nothing stays behind to get our beloved machines covered in muck and stain. Moreover, not everyone likes to get their motorcycles cleaned in a service station. 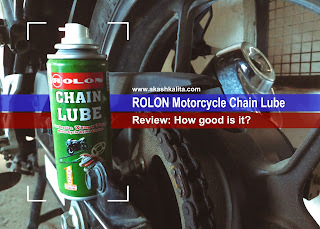 I was searching for a perfect motorcycle cleaning product for the enthusiasts like us, who like to get their own hands dirty to get the motorcycles cleaned. A product that would clean every possible stain and dirt there is. 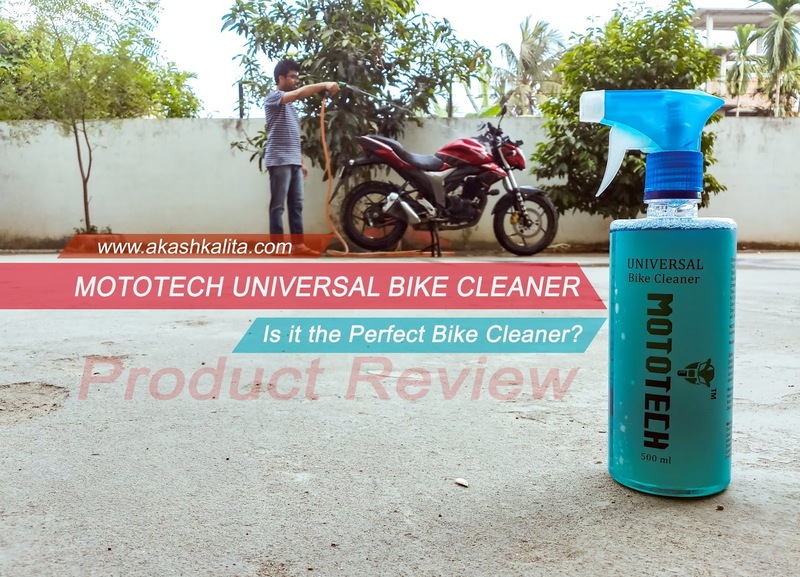 I did find a product, the Mototech Universal Bike Cleaner online but I was a bit skeptical about it. But thanks to the good folks at Mototech Gear who provided a great discount on the product so that I could review it and you do not have to go through the same dilemma. So, how good is the Mototech Universal Bike Cleaner? When you buy a motorcycle helmet, it usually comes with a clear visor i.e. a transparent visor. But sooner or later many tend to replace their clear visors with smoked or mirrored visors. It is mostly done for sun protection. 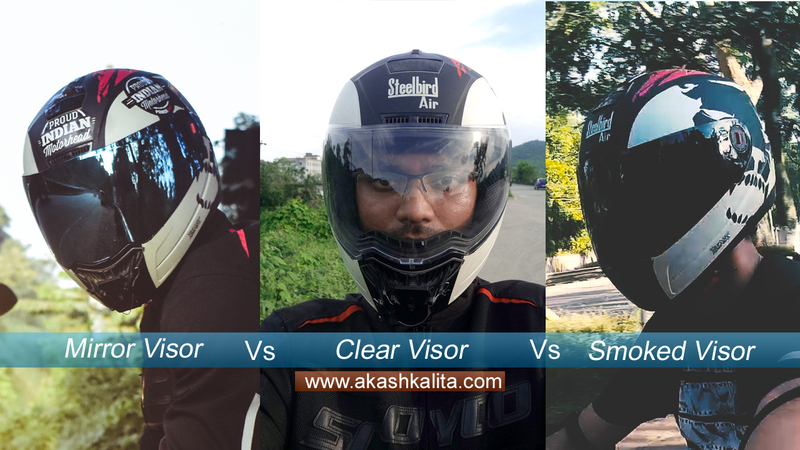 Apart from protecting the eyes from the harsh sunlight, the mirrored or smokes visors enhances the aesthetics of the helmets. To be honest the helmets with mirrored visors looks pretty cool. 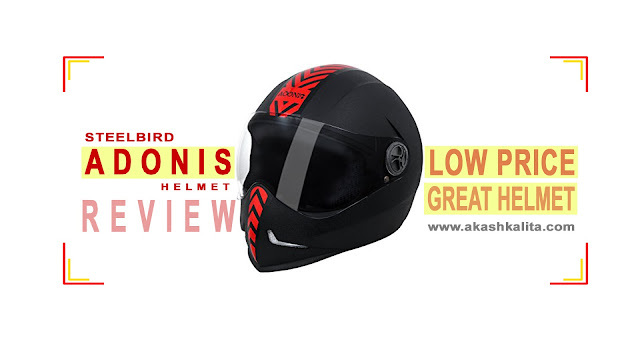 But among these major types of motorcycle helmet visors which one is the best one for you to choose from? The JAWA Motorcycle Company has made a grand comeback. 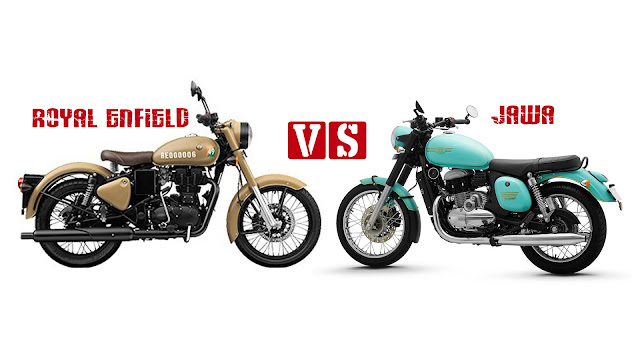 JAWA has recently introduced three retro styled motorcycles, JAWA, JAWA Forty-Two, and JAWA Perak. With a price starting at 1.55 Lakhs (Ex-showroom) and impressive power figures of the motor, the motorcycles are expected to win the hearts of many. The power figures and the aesthetics of the JAWA motorcycles make it crystal clear that the immediate rival of JAWA is Royal Enfield. Carrying around a helmet everywhere all the time can be a real hassle. But leaving a helmet on a motorcycle probably also mean a free give away to a thief. To avoid both the problems the best solution is using a helmet lock so that you can leave your helmet on your motorcycle securely without having to carry it around. 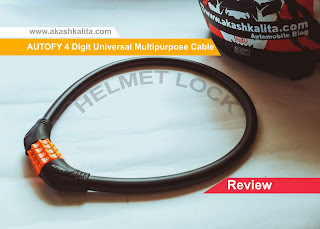 And one such product I recently got my hands on is a helmet lock from the brand Autofy. It is not a sponsored post but the quality of the product is impressive and is worth sharing. Rolon Motorcycle Chain Lube: How good is it? 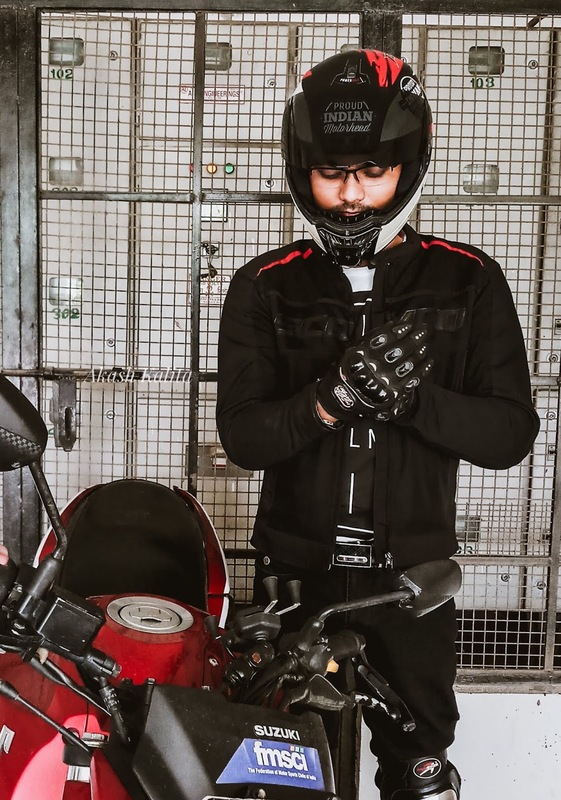 If you ride motorcycles and has a great passion for them then you probably know that the pleasure that it provides is second to none. 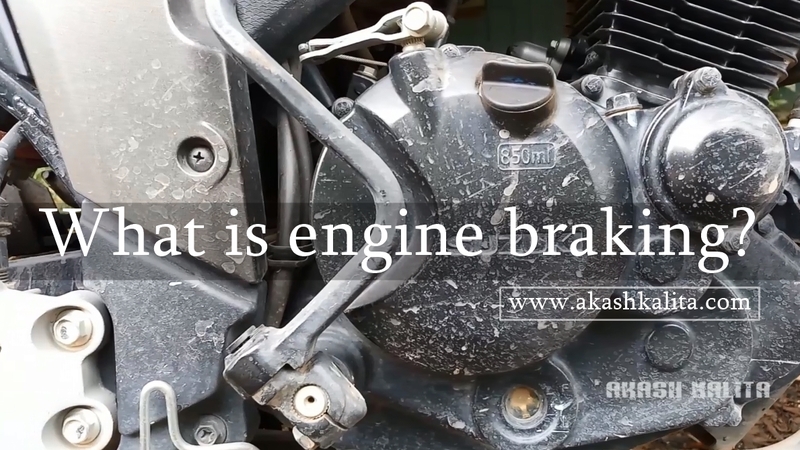 All motorcyclists irrespective of the type and power of the engine love their motorcycles and try their best to keep them at their best condition. 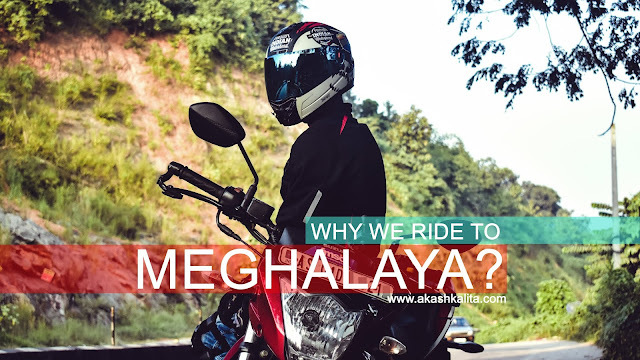 But no matter how much the motorcycles are loved they are meant to serve a purpose and that is to take the riders to places. And in doing so it comes across all kinds of dust, dirt, water, and muck. Although we try to keep the motorcycle clean and inspect almost every component regularly one component that most of the time is left not cared upon is the chain. A gorgeous, red, fast and aggressive sounding motorcycle is what comes to our mind when we hear the word Ducati. 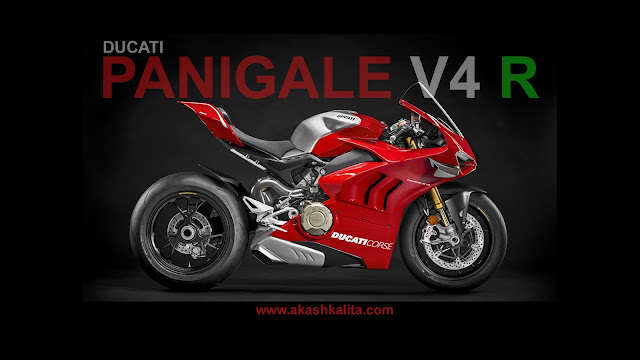 The Panigale V4, Ducati's first mass-produced motorcycle to be equipped with a 4 cylinder engine is already a beautiful machine with a powerful heart. The Desmosedici, Ducati's Moto GP motorcycle derived engine of the Panigale V4 pumps out 214hp power and 124Nm torque. The Ducati Panigale V4 Speciale, a motorcycle limited to only 1500 lucky owners with carbon and aluminum components and a Ducati Performance titanium Akrapovic exhaust can produce 126hp. But now Ducati has now gone even further and has recently unveiled the Panigale V4 R.
Hyundai Santro: First Impression: Good or Bad? 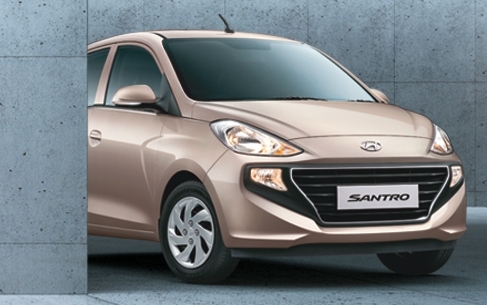 There has been a lot of buzz going on in the town about the come back of the tall-boy, Hyundai Santro. In its 2018 iteration and the gizmos that come along with it have enabled it to grab a lot of attentions. The "Rhythmical Tension" design philosophy gives the Santro a fresher and refined, yet Sporty image. The hopes are high as it brings a lot to the table without costing much. I was a bit sceptical if it could really meet the expectations of the people. 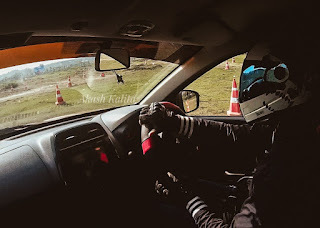 And all thanks to Mukesh Hyundai , Guwahati (contact details are available at the end of the article) that I finally got the chance to lay my hands on the Santro 'Astra' to see myself if it could really live up to the "India's favourite family car" tag. Buying a car is a crucial decision. Tonnes of aspects like looks, comfort, engine, fuel economy, etc need to be taken into account before choosing the right car. And when there is a wide range of cars to choose from, the task becomes even tougher. But most of the time among all the bling-bling and tech gizmos, one of the most important aspects that fails to grab the attention of many is 'safety'. A car is only as good as it is safe for the people inside in. 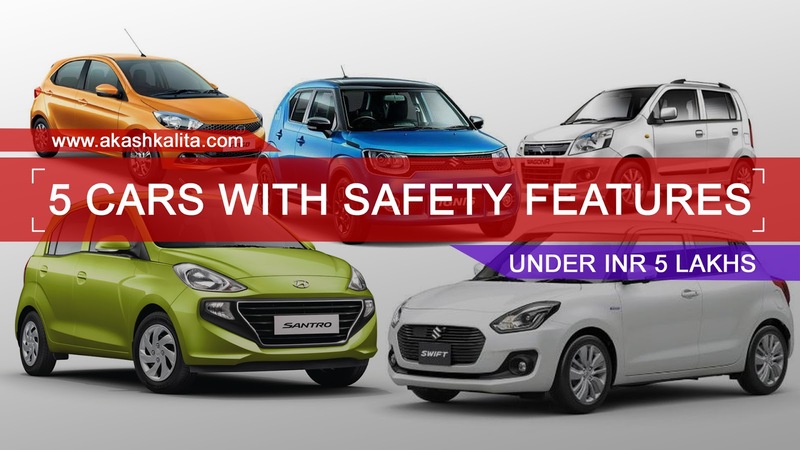 Therefore here are five cars (in increasing order of price) under INR 5 lakhs (showroom price) which offer safety features to keep you and your loved ones safe on the road (*Safety features are highlighted in blue colour fonts). 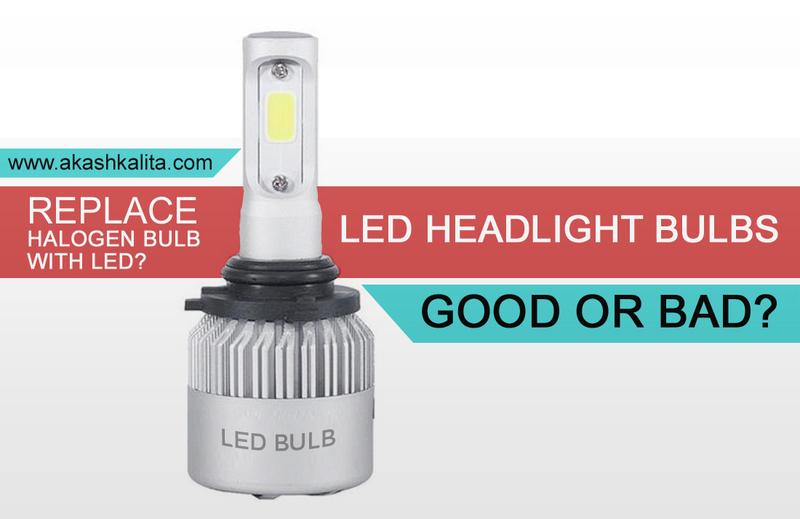 LED Headlight Bulbs : Good or Bad? New generation cars and bikes are moving towards the use of LED headlight bulbs. There are two main reasons behind it; First, LED bulbs consume less power and second, they are brighter than conventional halogen bulbs. Also, LED headlights look aesthetically much better because of the bright white light beam than the halogen bulbs which throw yellow beam. LED bulbs also have a longer lifespan than the halogen bulbs. 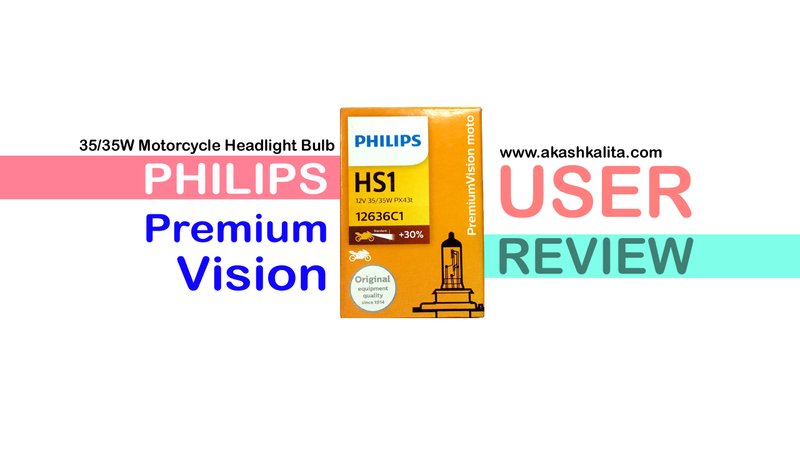 But there are still many vehicles, especially the entry-level vehicles which still come with halogen bulb headlights. This is mostly to cut the cost of the vehicle. 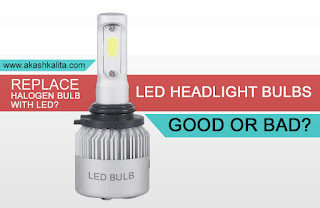 So, the natural instinct of the owners of the vehicles with halogen headlight is to "upgrade" the headlight by changing the stock halogen bulb to a LED bulb to get brighter lights. But is it worth it? The most common practice to slow down a vehicle is disengaging the clutch and applying the brakes simultaneously. Although very common this practice of braking is not efficient. 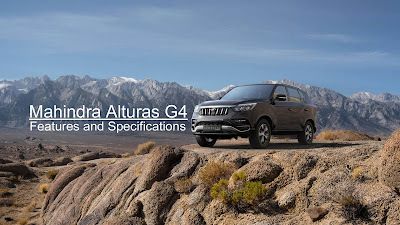 It causes more wear in the brakes pads due to friction and heat, increases the stopping distance, and also might cause the wheels to lock and skid on the road especially if your vehicle does not have an ABS (Anti Lock Braking) system. Prices of petrol and diesel are increasing; also the roads are not going to expand any time soon. People, therefore, are moving towards vehicles of smaller sizes, vehicles with better fuel efficiency. 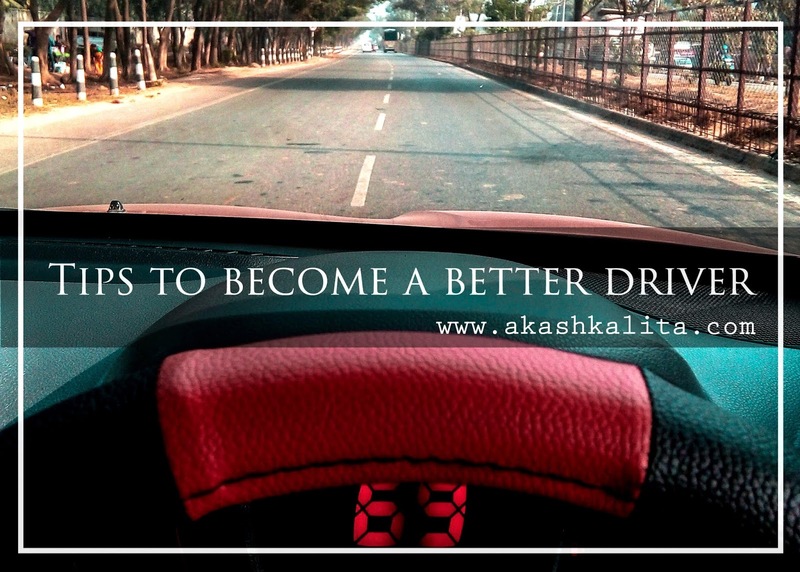 There are also people who are upgrading from a two wheeler to a four wheeler or want to buy a budget car. 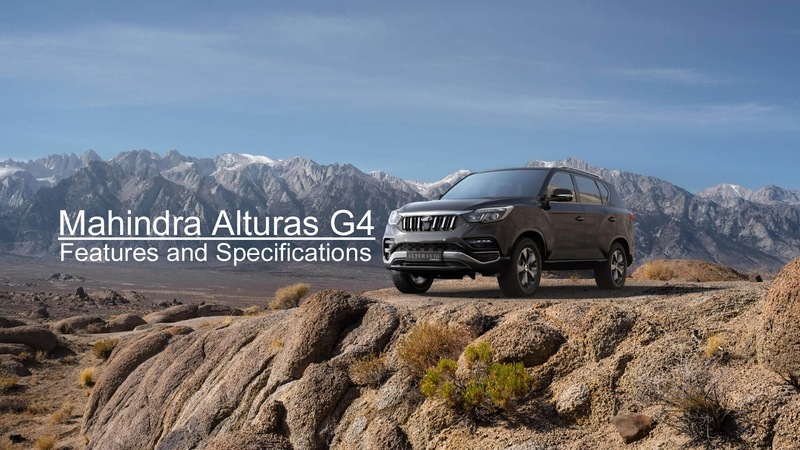 Therefore, automobile manufacturers are focusing more towards the development of smaller, fuel efficient, budget cars. It was 21st October, 2018 and one of our cousins had come to visit us. The major attraction behind his visit to our home this time was the vintage museum, 'Treasured Wheels' in Sonapur, Guwahati. 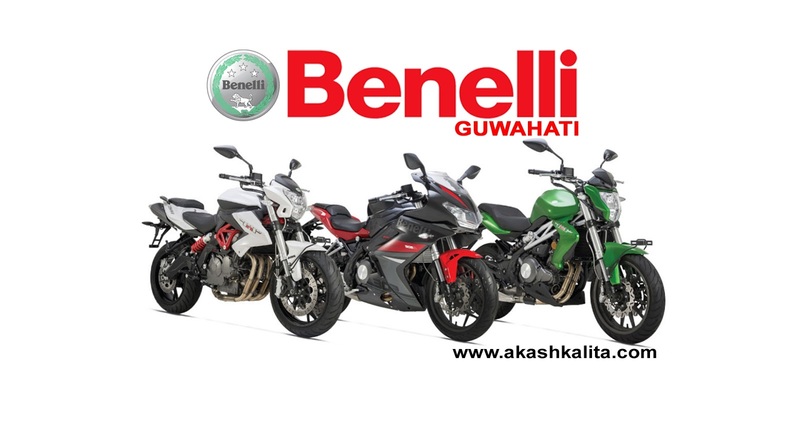 It is owned and run by a common man who had and have been spending his hard earned money to setup something that people of Assam can be proud of. My cousin did not even know that this place existed until he saw a photo of a red old Mini Cooper that I had uploaded on my Instagram story. Since then, he heard a lot about this place from me. He had been planning to visit the place along with me and my sister. 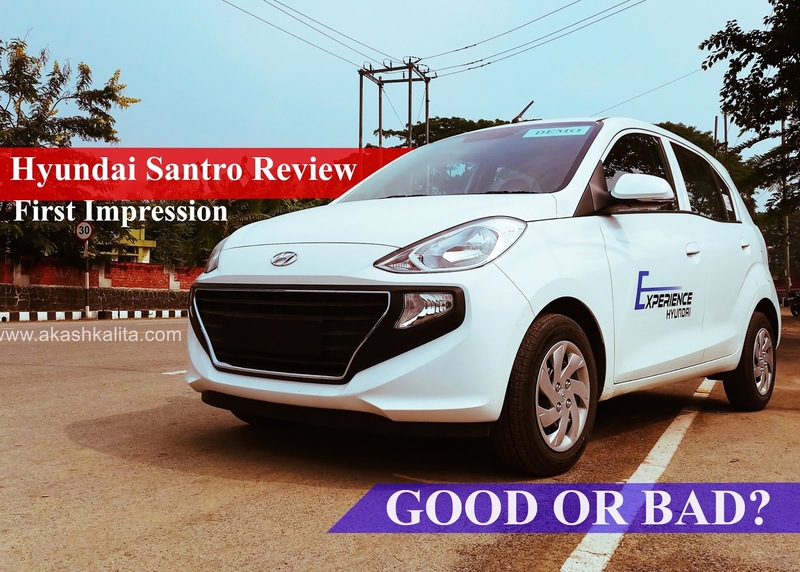 The Hyundai Santro was easily one of India's favourite hatchbacks. It was known for its reliability, space, great engine, smooth transmission, and of course, the tall boy stance . Moreover, it did not cost a lot of money either. 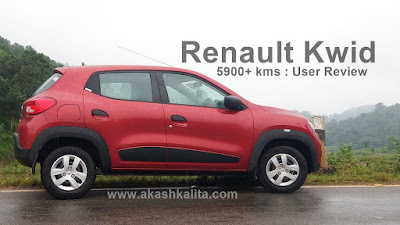 Although the Santro was a great car but, would have looked outdated in today's market and hence, the production of the Santro was put to an end in 2014. It disheartened many who would have loved to own this car. It was then replaced by the Hyundai i10 and like almost every Hyundai car, it was an instant hit. Although I am late with this blog post, it was worth sharing it. India has never been known for being a country of motorsports but there are many who want to live their dream of being on a race track and feel the adrenaline rush at least once. There are not many places of the country which are blessed with 'race tracks' or motorsport clubs where you can live the dream of being a racer. Competing in any major motorsport events requires a lot of money. From preparing the car to the race equipment, it is a lot of money and specially if you do not have a sponsor to watch your back and you are all on your own, you might even not ever dream about it. But a new era of motorsports in India has began. 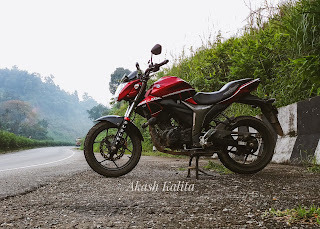 If you own a motorcycle and are reading this blog, then, you too probably are under the curse of the god of motorcycles. A curse that makes us crave for more motorcycles, and every possible motorcycle part there is, to lay our hands on. It is a hunger that cannot be satiated but, embrace it and turn ourselves into predators called 'motorcycle enthusiasts'. There is no lying that we are in a constant scavenge for places to feed our hunger. 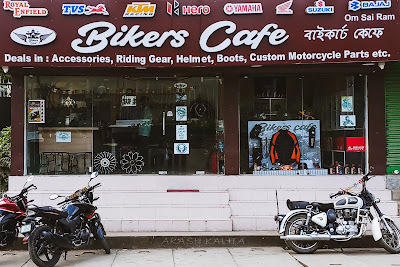 And one such place, where I always had my eyes on is 'Bikers Cafe', Guwahati. Every single time I pass by it, those red and black riding boots, that orange jacket, and helmets with mirrored visors look too inviting to resist. Therefore, this Sunday, i.e. on 14th Oct, 2018, I finally went there to feast my eyes on every possible motorcycle accessories and riding gears, that Bikers Cafe has to offer on their menu. 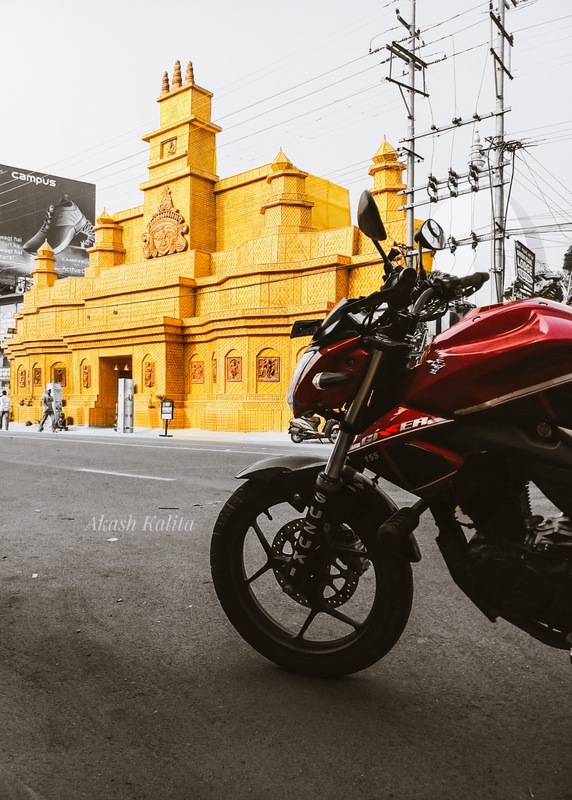 The Suzuki Gixxer 155cc was launched in 2014 and its market is only growing. But, considering how good a motorcycle it is, it should not be a surprise either. I own a 2016 Suzuki Gixxer, naked version and I have ridden it more than 16,600+ km since then. It is still in stock condition, except for some cosmetic changes like decals and crash guards but, no performance upgrades has been done. 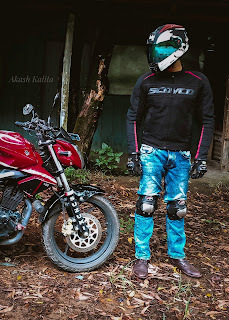 So, in this article we will discuss about the user experience with the motorcycle, and all the points that you would want to know before buying a brand new Suzuki Gixxer. Imagine being on a long motorcycle ride. 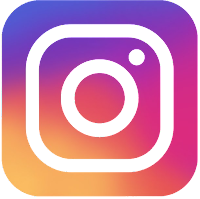 You are clicking hundreds of pictures to capture those precious moments of your epic journey and uploading them as statuses and stories to share it with your friends or family, while on the go. 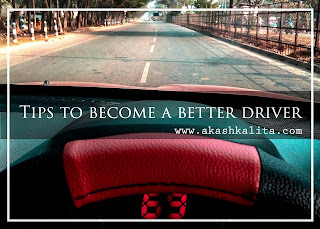 The roads are new but, the online maps are helping you to find the right roads. And the only gadget that is doing it all, is a mobile phone. 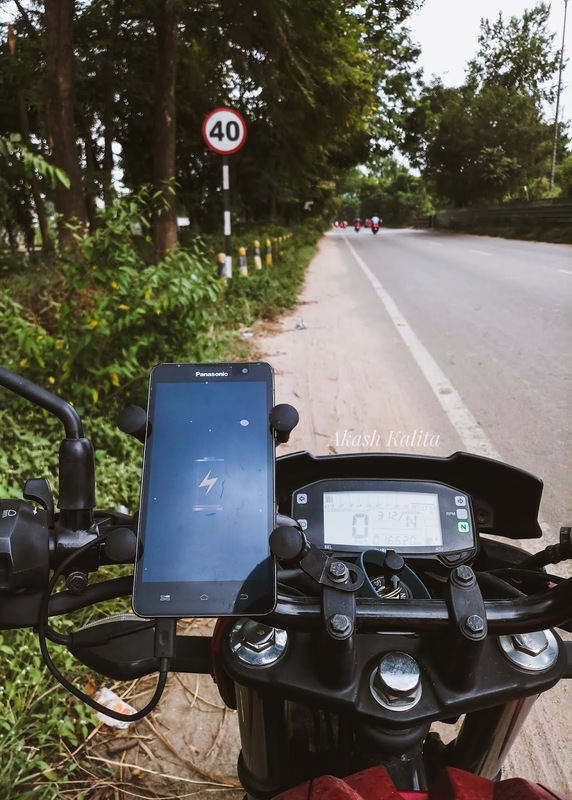 Everything was going fine, until your motorcycle broke in the middle of nowhere and when you wanted to make a phone call for help, there is no charge left on your phone anymore. So that you don't have to get in a situation like this in real life, here is a must have accessory for your motorcycle. 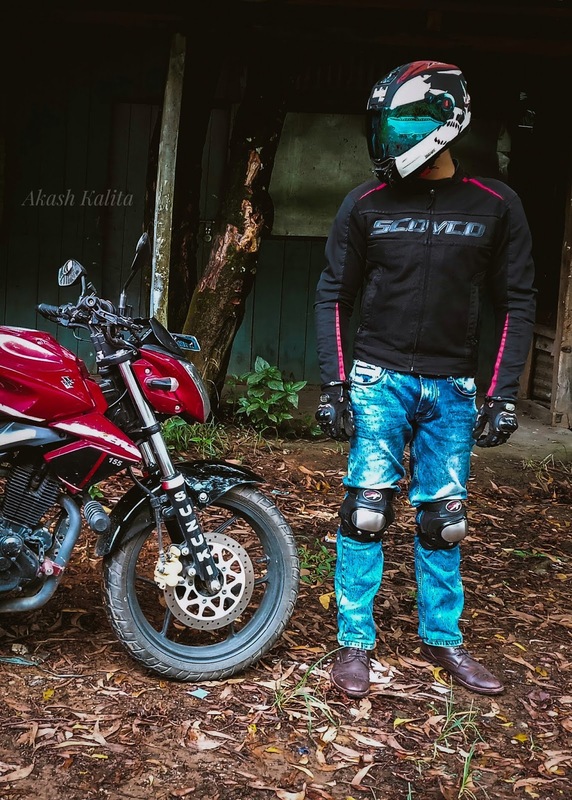 Majority of motorcyclist, specially in India ignore safety gears. 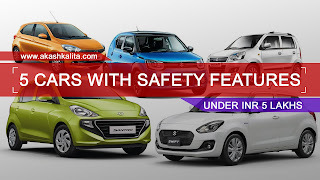 Considering the high number of road accidents on Indian roads, it is disheartening to see safety gears being considered as not more than a joke by many. Helmets are only worn, when riders see a traffic police to avoid getting fined. To all those who are reading this article, it is my humble request to not follow such dangerous trends because a small head injury can be fatal. Among many parts of the body, your hands are one of the major regions which come in contact with the ground during a motorcycle crash. The palm of your hands are delicate, and are vulnerable to serious injury during a slide in case of a crash. Therefore, proper protective gears are essential to protect your precious hands.